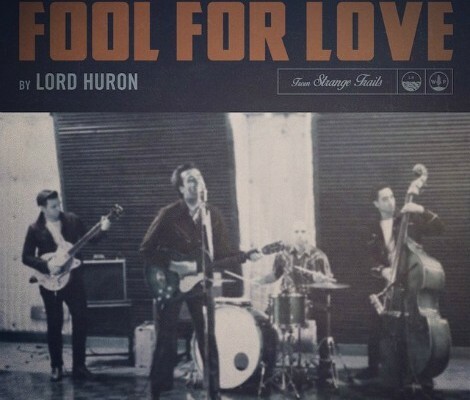 “Fool For Love” by Lord Huron, off the Strange Trails. A few weeks back, I posted a brand new track from Lord Huron called “The Night We Met” and an album trailer called Strange Trails. Today I’ve learned that the album will come out April 7th via IAMSOUND and the song (below) “Fool For Love” also appears on the record. For me (and many others), we’re hoping this record can take over where their 2012 critically acclaimed album Lonesome Dreams left off. Turns out, the two records are indeed linked. I’ll admit, when I first put on “Fool For Love”, it felt a little too much like a few songs on Lonesome Dreams. But I’m really only a couple listens in, we’ll see how it grows on me.